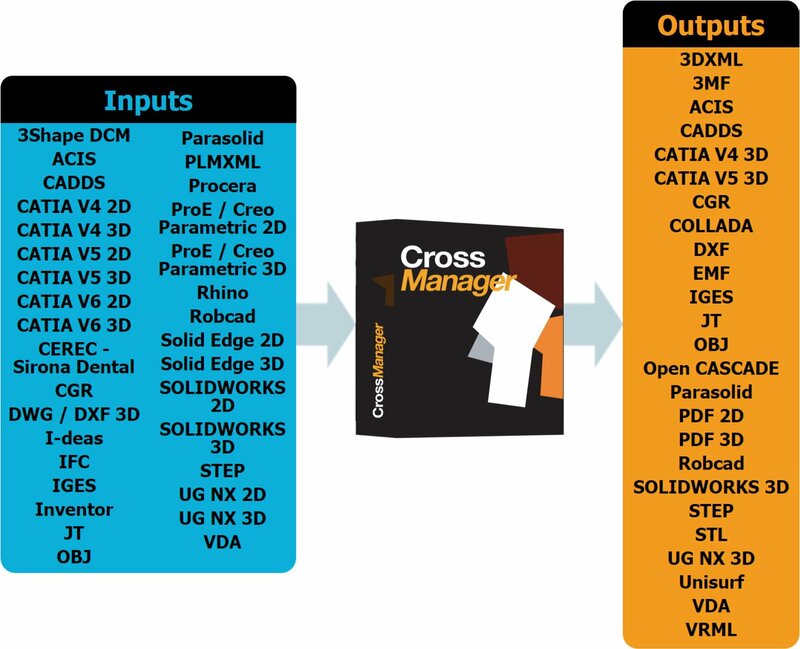 The version 2017.1 of CrossManager, the CAD files converter published by Datakit supports new versions of 3D formats. The software supports now the conversion of files coming from SOLIDWORKS 2017 SP0 and from CATIA V6 R2016x. It is also now able to convert IFC files and to write binary Parasolid files (.x_b). These new features are added to the more than forty 2D and 3D formats already supported by CrossManager. This version also benefits from the constant improvement of Datakit CAD converters. Indeed, they are maintained constantly, in order to improve their quality, to process new entities and new attributes, while reducing the execution time. Users wanting to download CrossManager and get a trial license can visit the official software page. These improvements also apply to CrossCad/Ware, the API enabling software vendors to integrate Datakit technology in their own applications. Software vendors interested in CrossCad/Ware can visit the API description page and contact Datakit to get information relevant to their domain.